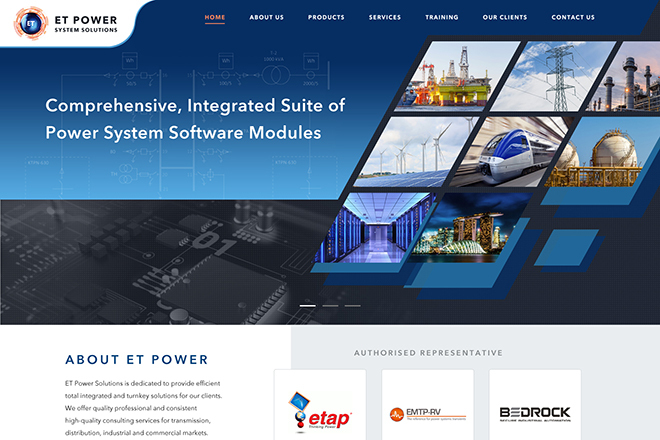 ET Power System Solutions is an engineering consulting, design, supplier, exclusive representative for ETAP, EMTP-RV and Bedrock Automation in South East Asia and integration company for electrical power industry. ET Power System Solutions offers quality professional and consistent high-quality consulting services for transmission, distribution, industrial and commercial markets. 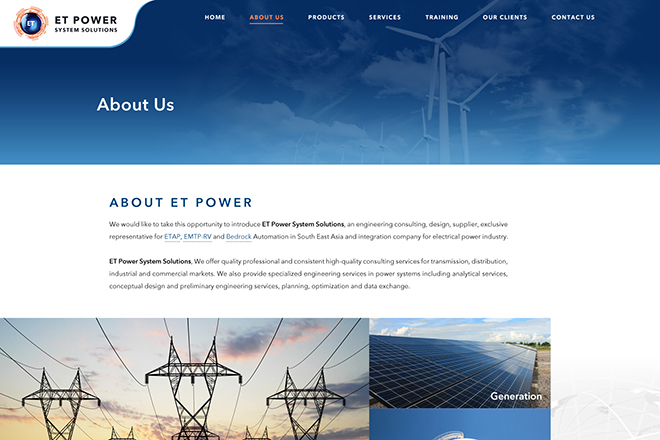 ET Power System Solutions also provides specialized engineering services in power systems including analytical services, conceptual design and preliminary engineering services, planning, optimization and data exchange.